Travertine tile will bring decades of beauty to your home. Knowing how to properly clean your travertine tile is the key to its longevity. Our travertine cleaning Sugar Land TX professionals believe it is very important to understand how to clean and maintain it. There are two type of travertine stone finishes used in the interiors of homes; honed and polished. Travertine tile cleaning experts recommend homeowners use a cost effective professional cleaning service. This will ensure the best results and a lifetime of beautiful floors in your home. However, if a homeowner prefers a DYI method, here’s what you must do. First, always use a dry dust mop to clean your interior stone. This is suggested for both finishes. If you find a stain or concentrated debris, you may prefer to wet clean. Professionals prefer a cleaner with a (pH7) When a liquid has a (pH) of (7), this means the product is neutral and free of any acidic or alkaline components. Remember, Travertine is a natural stone and any strong chemicals will damage it. Proceed with your neutral cleanser (pH7) and make sure your water is clear throughout the rinsing process. This may require changing the water a few times. With Honed- finished stone that may have a suborn stain. Use a mild abrasive cleaner with a (pH7) (baking soda is best) rinse with clear water. Again, the water must remain clear for the best outcome. Travertine experts say in all cases it is best to use soap less cleaner. They’ve found soap often leaves streaks and film. Particularly, on polish-finished travertine stone. If you feel must use soap, it’s best to find one that is biodegradable such liquid dishwashing soap or powders. Wash gently and change the water as you go. Never use an acid or chemical cleaner on travertine. Mild cleaners are always the best solution. To truly protect and maintain your Travertine floor experts agree, locate a reliable cost- effective professional to clean your floor. It’s a small investment in maintaining the longevity of your beautiful travertine floors. 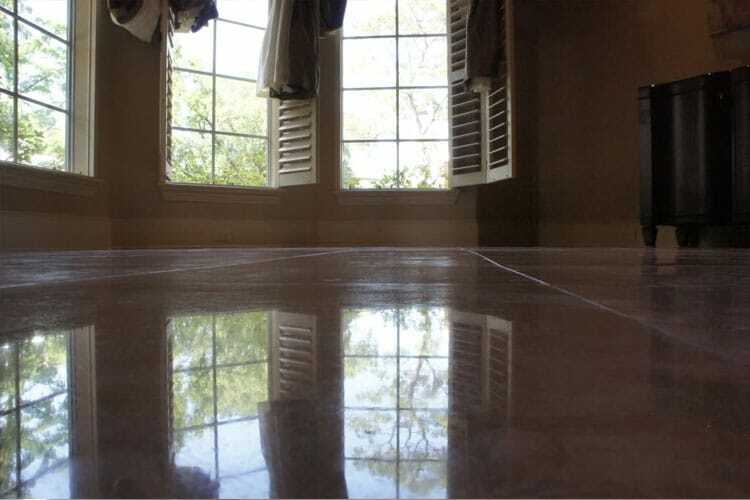 When looking for a travertine cleaning Sugarland, TX professional do your homework first. While there are hundreds of travertine cleaning companies and individuals who claim to do the best job, only few understand the proper procedures to clean, protect and restore your travertine. Contact Modern Stone Care, cleaning travertine is our specialty.